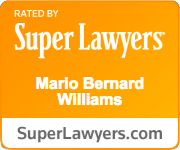 Good Georgia Lawyer Mario Williams successfully represented prominent metro Atlanta attorney Mr. Kevin Ross in a lawsuit to clear his good name. 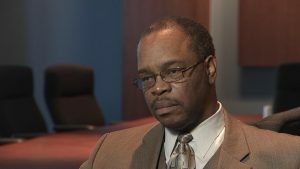 A jury recently vindicated Mr. Ross and awarded him $11.3 million in a lawsuit that argued he was falsely accused of corruption. Mr. Kevin Ross sued two businessmen provided a Prosecutor information alleging he was involved in bid-rigging. The investigation resulted in no charges against Ross, but harmed him significantly by damaging his reputation. A member of the Georgia Bar since 1980, Mr. Ross has advised numerous private and public sector clients on matters of public affairs, government relations and media relations over the course of his professional career. He practiced law with three major commercial law firms in Atlanta and served for four years as the Managing Partner of the Atlanta office of an international law firm. Additionally, Mr. Ross has managed over a dozen successful political campaigns, including three winning mayoral, and two winning congressional campaigns and a host of other state, county, municipal and judicial races. William Oinonen LLC considers it a privilege to have represented Mr. Kevin Ross and our many other clients who have been injured by injustices.